Prof. Angela Brand, MD PhD MPH (USA) is Founding Director and Full Professor of the Institute for Public Health Genomics (IPHG) at the Faculty of Health, Medicine and Life Sciences at Maastricht University, the Netherlands, as well as Dr. T.M.Pai Endowed Chair on Public Health Genomics and Adjunct Professor at the Manipal Life Sciences Centre of Manipal University, India. Before she worked in the clinics, at various academic institutions and in governmental bodies in the USA and Germany. She is Paediatrician and Specialist in Public Health Medicine, holds a PhD in pathology (Münster University, Germany) and a Master of Public Health from Johns Hopkins University, USA. 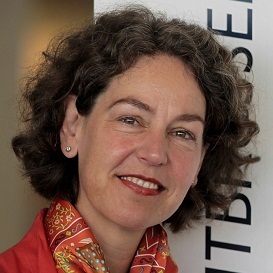 She has been the pioneer of Public Health Genomics in Europe and established successfully this field in more than 15 European Member States within the last years (www.phgen.eu). Public Health Genomics is the field within Public Health demonstrating the need for a holistic “systems thinking” and translating research from “cell to society” towards the implementation of personalised healthcare. Dr. Ir. Jonathan A. Lal, BTech MSc PDEng PhD, is working as a researcher in Public Health Genomics at Maastricht University. He is also the project manager of the ERA-NET ERAfrica project „InnXchange" (www.erafrica.eu) which has various partners from EU and Africa. Previously, during his time at Maastricht University, he had worked as the project manager of the 2.1 million Euros EU DG SANCO project "Public Health Genomics European Network" (PHGEN II, www.phgen.eu) which had over 22 institutional partners; and had also worked as a B-Team member for the highly innovative EU pilot flagship project ITFOM (www.itfom.eu) which had over 100 institutional members. In addition, he had briefly worked as a research advisor for the European Alliance for Personalised Medicine (www.euapm.eu). Prior to Maastricht University he worked as a Bioproduct Designer at Delft University of Technology also located in the Netherlands. He has a PhD in Public Health Genomics, a Professional Doctorate in Engineering in Bioproduct Design and a background in Biotechnology. His current work focusses on personalised medicine, valorisation, innovation management, best practices development, public health genomics, health policy and entrepreneurship.